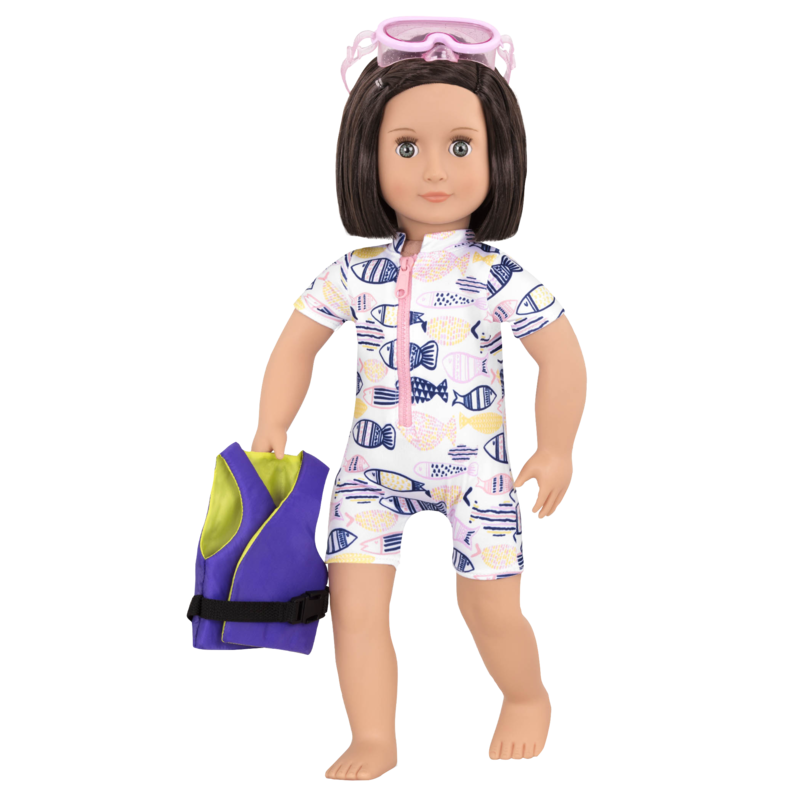 Splash into adventure with this swim fin outfit for 18-inch dolls! 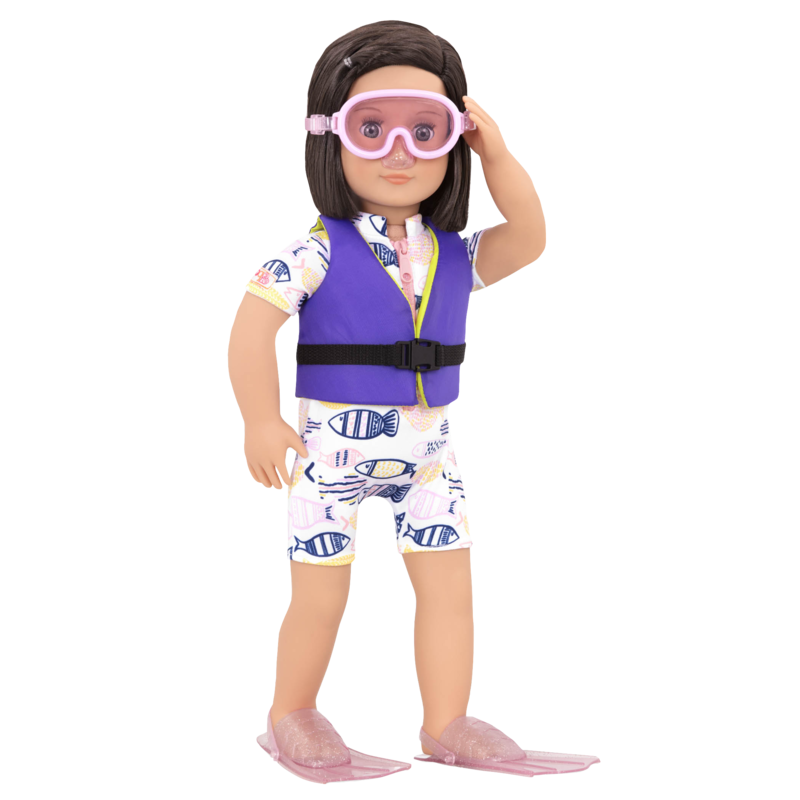 Discover the wonderful world beneath the waves with your favorite dolls and the Our Generation Underwater Wonder outfit for 18-inch Dolls! This fun and stylish outfit is perfect for a day at the beach spent exploring the ocean. 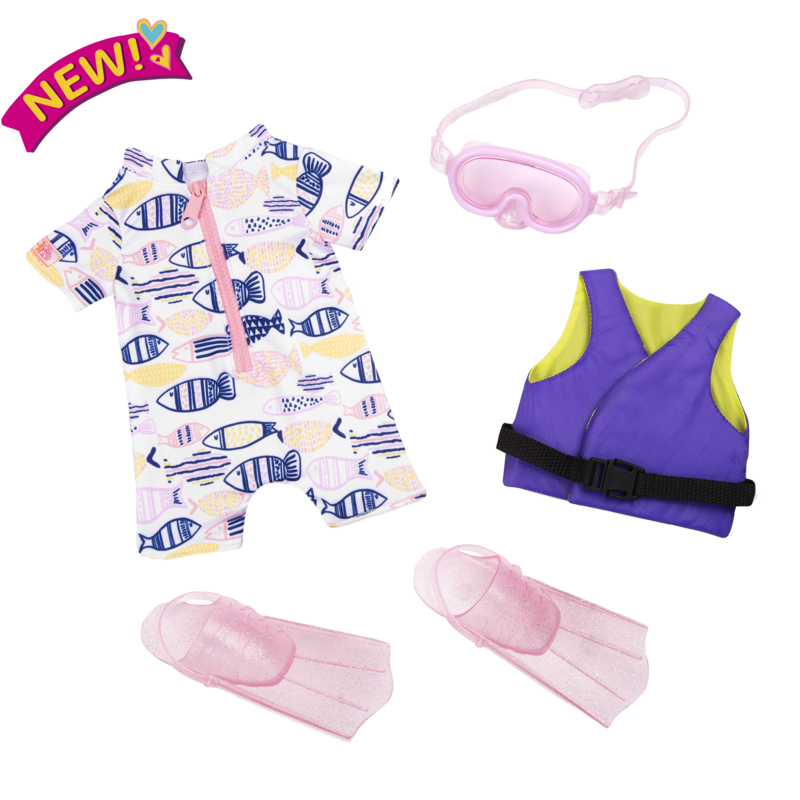 Exploring the ocean is so much fun, and this outfit will really make a splash! There are lots of other fun things to do near the ocean, like play on the beach! 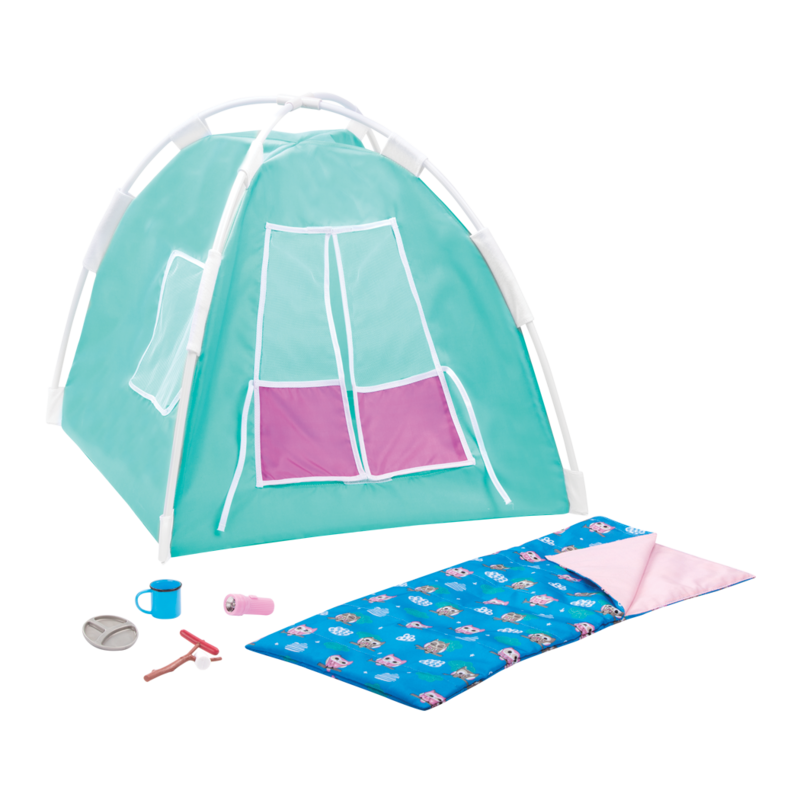 Check out the Day at the Beach accessory set for lots of fun beach toys for your dolls! After a day in the waves, your dolls can tuck in for the night at the Seaside Beach House! 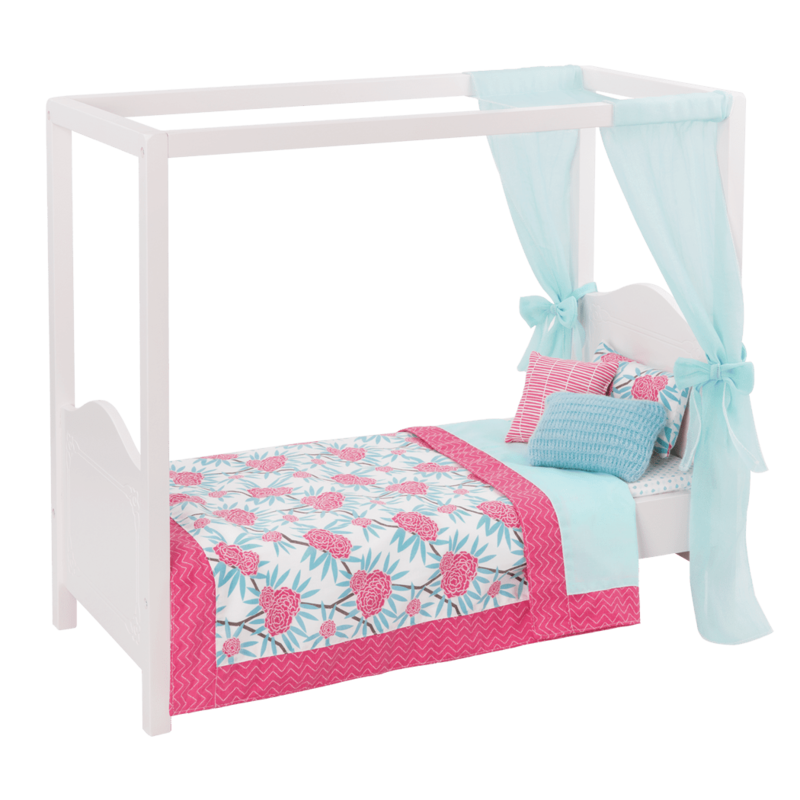 This beach house playset for dolls has everything they need to spend a lovely summer by the sea, including a pull-out bed and a fully-stocked kitchen!